SITECO - We promote dual vocational education. After thorough evaluation, Indonesia was chosen by SITECO in 2008 as site for a pilot project. In Cikarang, the industrial region of Jakarta, a Technical Education Center is being established and enlarged for prospective polymechanics, mechatronics. The concept of APII was developed in a collaboration between SITECO and the school management of ATMI Cikarang. SITECO organised an advanced education program on behalf of the Ministry for Research, Technology and Higher Education RISTEKDIKTI in 2017 for a total of 30 Indonesian vocational teachers. For one group of aircraft technicians, this training took place in Switzerland at SR Technics at Zurich Airport, in combination with zbw Center for Vocational Higher Education, St. Gallen. SECO signed a Letter of Intent with the Indonesian Ministry of Industry in February 2017 aiming at a more intense cooperation in the field of vocational training. 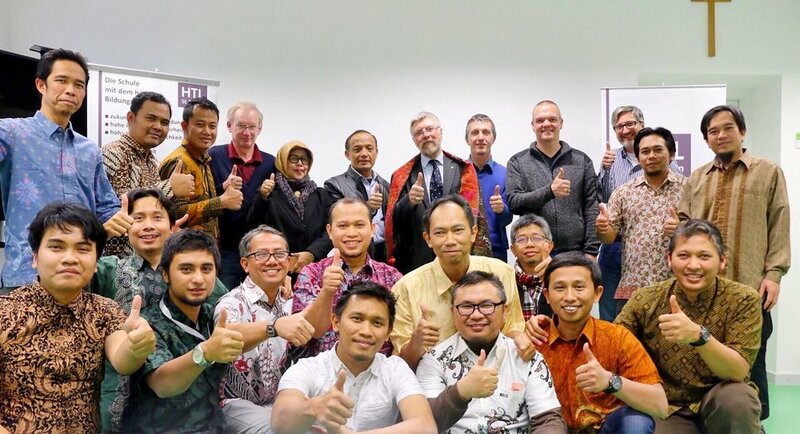 As a direct result, a consortium comprising Swisscontact, the Bern University of Applied Science and SITECO worked out the concept S4C Skills for Competitiveness for the build-up of 5 new Polytechnics in industrial development areas in Indonesia. We are a privately organised non-profit Association which implements projects in the field of vocational education primarily in emerging nations and development countries. Our policy is to provide “support for self-support”, from the educational basic training up to the capability to prove one’s worth on the labour market. We collaborate with national and international partners.